The Inter Church Watch Night Service held at the Transitional Cathedral was well attended by over 230 people. Pastor Jack Stuart (Christchurch Chinese Church), Rev Lawrence Kimberley (Anglican Transitional Cathedral) and Pastor Albert Tang (Victory Christian Church) brought challenging and inspiring messages while Mr Graham Gallen, (NZ Director, Voice of Martyrs) gave a presentation on the persecution facing the Church today. 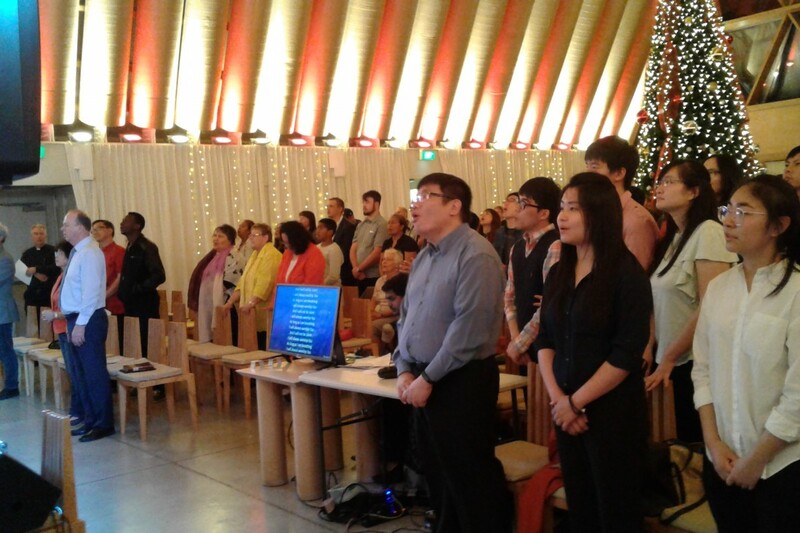 Worship (including in Mandarin) was led by teams from the Christchurch Chinese Church & Seventh Day Adventist Church, Bishopdale. Programme included special songs by Joy and Victor Griffiths, Judith Bell (with string & wind instruments), Benjamin Samuel , Tim Bell on Keys and Emma Powell on Drums.